I have all the caps for this, and I just don't see it...the background is too greyed out to be sure, to my eye anyway! It gives a location too. According to Kartvelophile, this picture is between that task location and the bus station which aren't that far apart. 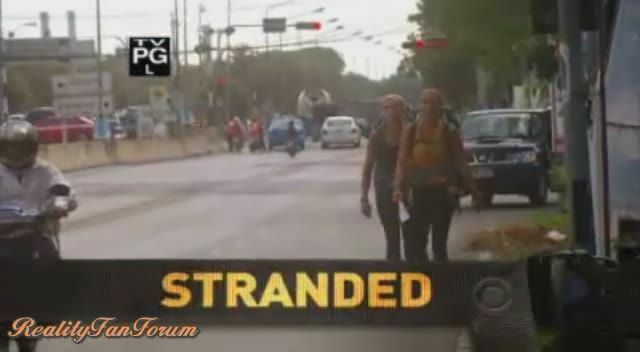 Either they have to walk or the stranded banner indicated that Liz and Marie cannot afford a taxi. But since he identified Jeremy and Sandy as being in that area as well they probably all have to walk. This would give opportunity to become easily lost but it is not too far to walk. 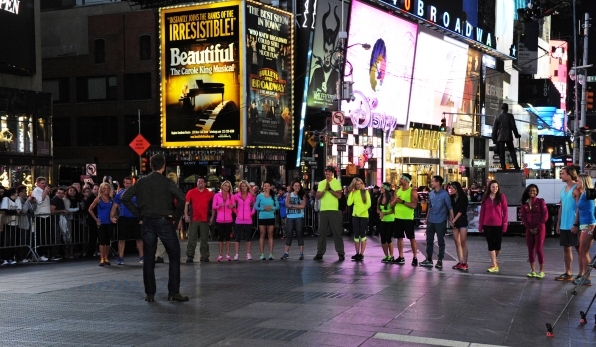 Now that we know about this task I don't think the roadblock could be in Phuket. If it were they would have to do that there, take the bus to Bangkok, walk to the canal and then take taxis to some location like the national park to do the elephants (detour?). The canal thing seems like the first task they do after getting off the buses. Thanks for the 4-square info!! And here is a tour that talks about fishies at the WAT. Start at 09.00. Depart from River City Peir, cruise by long-tail boat along Chao Phraya river and canals, pass the Royal Barges museum, Fish farm at Wat Srisudaram and Wat Arun (Temple of Dawn) (include admission fee of Wat Arun). After cruising, lunch will be served at La Grande Perle French Restaurant with European Set Lunch menu, coffe, tea and drinking water. So this is A wat...but NOT the spirit house wat. Well...that is if there is only ONE RB, right?? Eddie has been trying to tell us something. But IF the washing elephants is a speedbump, one would hope that was early in the leg to give a team a chance at catching up. The canal thing seems like the first task they do after getting off the buses. Can we confirm the direction they are heading from this pic? As in AWAY from the bus station or TOWARDS the bus station? The problem with that is that Khao Yai National Park is 196 KM and ~3 HOURS away from Bangkok. Bangkok has no street view so not for sure. The orange A is the bus station, the green is where Liz and Marie are in cap #20, the purple is the Wat where the task is. The red circle is generally where Jeremy and Sandy are in caps with the hedges and the bus going by. Tthe blue circle is where they are with the red political sign. Thanks Kartvelophile for the info! That is a HUGE help, thanks! I'm going to stick my trunk out on this one and claim that the elephant riding takes place in the Ton Pariwat Wildlife Sanctuary. And that the Spirit House Roadblock takes place at the Wat in Nop Pring. Here is the far away map and zoom in maps if I can make them fit. The reasoning is merely geometric matches to shadows, roof, trees, and hillside. Because I haven't found any other wat that come close in those terms. I was just doing a post about Ton Pariwat too...but for totally different reasons. Since we hear Sandy saying they could be last, that sounds like an end of leg comment to me. So Bangkok should be last. khao yai park is just too far away. And the elephant seats match pretty well And there is a pool with a waterfall that looks possible. So I vote for PitStart>> elephant riding and speedbump elephant washing as the first task with ?? RB in the water and another RB of spirirt house building at a temple somewhere in Phang Nga..Eddie says it's a temple in the song prak district of phuket, which is also part of Phang Nga. I cannot judge your wat, but just like this!! yes there are 2 roadblocks. the temple is a wat followed by a 11-12 letter "c" word. LOL there are 2 roadblocks in this episode. the spirit one we are looking for is a "wat" followed by a 11-12 letter "c" word. perhaps a wat chan...something. The Royal Turf Club pic, the contestants at that instant are walking away from the bus station. I would bet you money they got on the BTS (I believe 40 THB or 1.15ish USD per person) from Ekamai BTS (also known as the Skytrain... which I think is where Team Cha Cha Cha picked up Fern) and got off at either Phaya Thai or Ratchatewi Station. The ones near the Grand Palace probably got off at either Siam or National Stadium (National Stadium would involve a transfer). 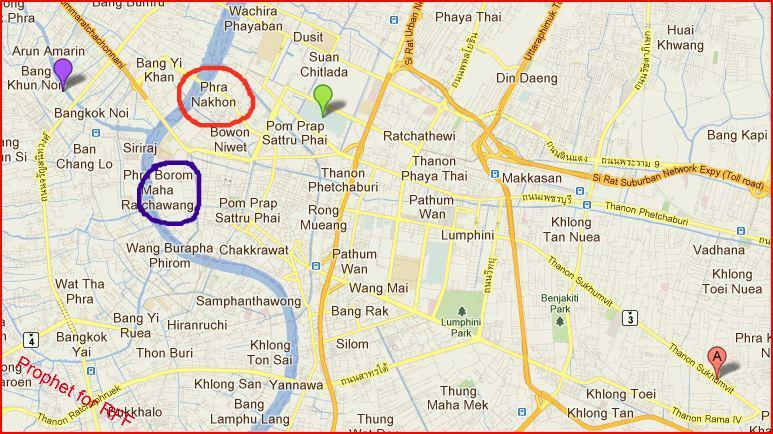 Ratchatewi and Phaya Thai are a block away from each other. So are Siam and National Stadium. The fare from Ekamai to Siam would be the same or slightly less than Ekamai-Ratchatewi. The ones near the Turf Club probably got info from locals where the Grand Palace ones probably looked at a map and decided (wrongly) where to get off. The way the roads are laid out, that would explain why those teams are so far apart geography wise. To get from Siam Station to the Grand Palace walking is an hourish if you know where you're going and I went sort of fast. And I never walked Ratchatewi to Banglamphu. I always took a motorcycle taxi... however if you were walking, the Turf Club people are doing it the fastest way. And BTW, Phra Nakorn on the Google Map is not Phra Nakorn as I use it. The Phra Nakorn on the Google Map is the name of a specifically named municipal administrative district... I would call what Google Maps says is Phra Nakorn "Banglamphu", which is the neighborhood where I lived. 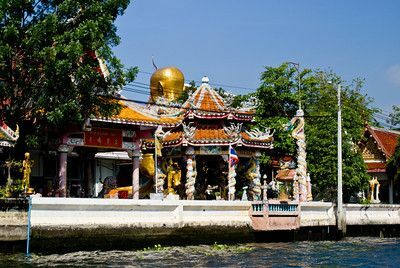 The way that I used Phra Nakorn was the island (bounded by the Chao Phraya and the canals). It's also known as Rattanakosin Island, but no one uses that name anymore. And another thing: Elephants are everywhere in Thailand. I would actually think that the elephant task is somewhere between BKK and Pattaya, especially if we know they are at Ekamai Station. And Forests for the elephants task like that can be seen anywhere 30 min outside of BKK Metro. Elephants, if arranged are everywhere (for tourists). Khao Yai's forest would probably be denser than that as it's primarily old growth. Route Info Task of building a Spirit house. Note on Wats: If some rich Thai guy liked a wat, they would just use the plans and details to build a replica where they wanted. That was done rather frequently, especially in the past 100 years. There are limits, like Wat Pho and the hilltop temple in Chiang Mai are considered too special. Just because it looks the same doesn't mean it is the same. I still think the background is a shoreline and ocean. Is there a possible Fast Forward in the leg? i dont think there would be one...since we have 2 roadblocks, there probably wouldnt be enough time to fit in a fast forward.